20th Annual BORP Goalball Invitational Big Success! Seven teams, the most ever, gathered to compete for the title at BORP’s 20th Goalball Invitational on December 6, 2014. In addition to the ferocious competition there were several milestones to note and a couple of old friends to welcome back. Milestone #1 was the seven teams competing which made for a very full schedule that kept everyone’s adrenaline high. Milestone #2 was achieved in the first game of the day (Blue Thunder vs. Roadrunners) as Victor Hakopian scored the Invitational’s 2,000th goal. In addition, CAL’s new goalball team served notice in Game #2 that they were going to be a force to be reckoned with as they took a 4-1 lead in the first half against . The tide turned as Smiting used 3 unstoppable blasts from Brandon Young in the half’s final minute to forge a 4-4 tie. Brandon scored 2 more goals in the 2nd half and with a total of 6 for the match led Smiting to an 8-5 victory. In addition, CAL’s new goalball team served notice in Game #2 that they were going to be a force to be reckoned with as they took a 4-1 lead in the first half against A Vigorous Smiting. The tide turned as Smiting used 3 unstoppable blasts from Brandon Young in the half’s final minute to forge a 4-4 tie. Brandon scored 2 more goals in the 2nd half and with a total of 6 for the match led Smiting to an 8-5 victory. After a day of fierce competition, the Championship came down to a battle between Sacramento and Green Machine. The game started as a defensive battle as both teams probed for cracks in the defense of their opponents. But as the game progressed, both teams began scoring with the Green Machine beating Sacramento by a score of 7-4. With this victory Roger Acuna secured his 9th BORP title. No other player has more than 4! Congrats to Roger. rs for devoting their time, energy and skill to supporting the BORP Tournament. Thanks to all the players, coaches, friends, donors, staff and families who support the goalball program throughout the year and make BORP Goalball the premier program it is! 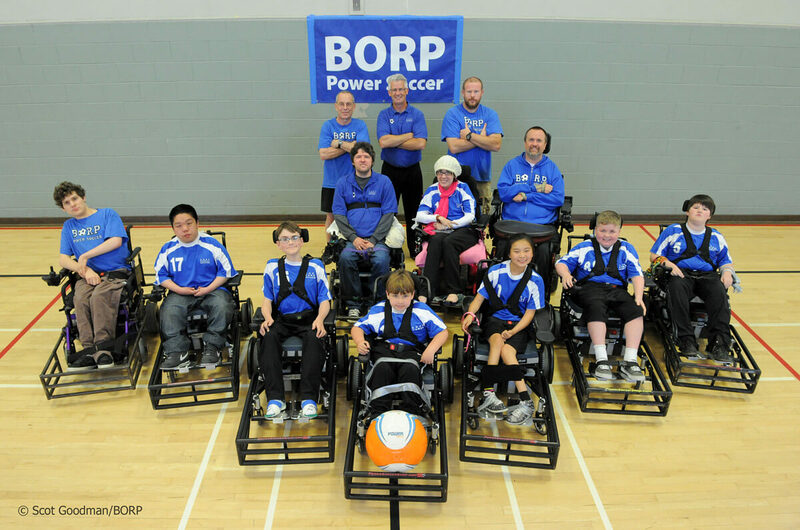 The BORP Bombers and BORP Shockers will host the San Jose Rockets and Sacramento Valley Flames on 12/13/14 for a Power Soccer tournament. 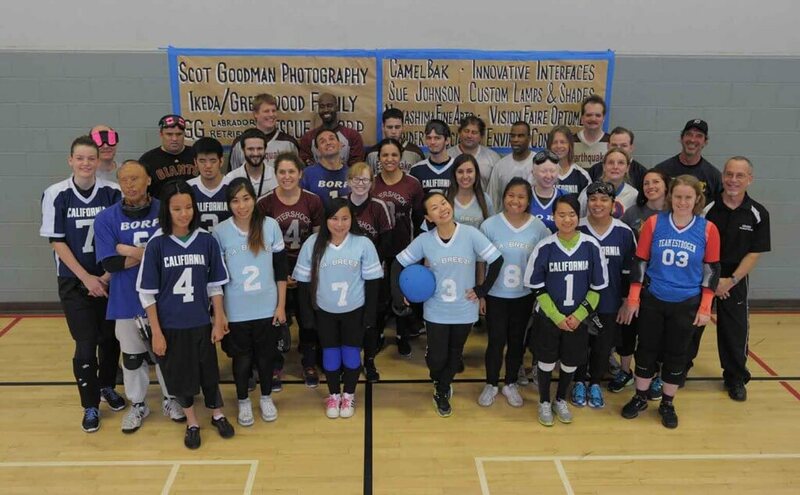 Games will be played at the James Kenney Recreation Center in Berkeley. Admission is FREE and open to the public. For more information contact Jonathan Newman at jonathan@borp.org or call (510) 849-4663 x1304.